Trustfire TR-001 battery charger for most of your 3.7V battery models. 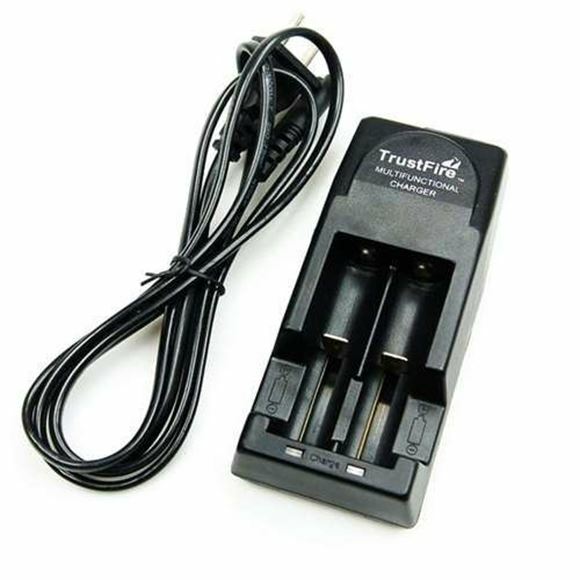 Trustfire is mid range charger at budger price, if you are looking for high performance reliable charger then we highly recomend to consider buying NiteCore chargers. However, for the vaping beginners who are considering ecig mod then first try this charger if you don't want to investment in expensive charger. 1 x Australian Power Adapter.